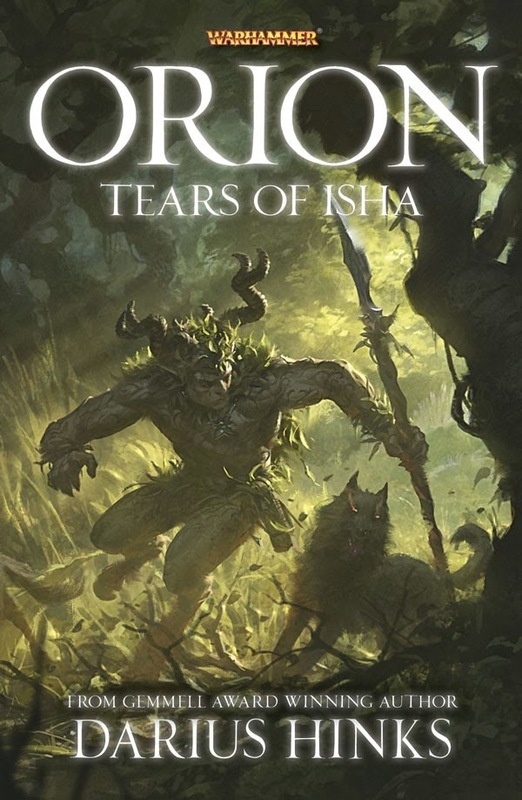 After reading Vaults of Winter i decided to waste no time in getting started on the next book in the series Tears of Isha. So firstly i wanted to say that where as Vaults of Winter was a book with Wood Elves in it, Tears of Isha is a Wood Elf book. If you know anything about wood elves you will feel far more engaged in this book. Through out it there constant references to units in the army book, the wood elves in the book act far more like the elves described in the army book. Also there is a complete lack of arrogant elf nobles condescending to "Lowborn". In the last book it was rife but in this book it has vanished without a trace. This book feels like an actual piece of wood elf lore, which was what the vaults of winter lacked. Where the threat in Vaults of Winter felt a bit unrealistic the threat in Tears of Isha feels more imminent, more real and far more dangerous. In Vaults of Winter units were often mentioned by different names, Wardancers became shadow dancers, Waywatchers became sentinels. This practice made me feel like i was reading a book about a group of forest elves who, while had they had many similarities with the wood elves, didnt quite feel like them. In Tears of Isha Wardancers are called Wardancers, Waywatchers are called Waywatchers and several other units are mentioned by name, all of this helps you to feel like you are reading a book set in Athel Loren about wood elves. All in all i highly recommend this book if you are a fan of the wood elves, its worth reading the first book to get the context needed to understand this one. Before i go i wanted to speak about the third book, Council of Beasts. This book is scheduled to be released in may this year, which is also the time the new Wood Elf army book is meant to be released. If this is correct that means we could see changes in the wood elf lore, new special characters, and new units all due to what happens in these books. I sincerely hope this is true because it would be one of the few times warhammer lore has effected warhammer mechanics. Until next time.